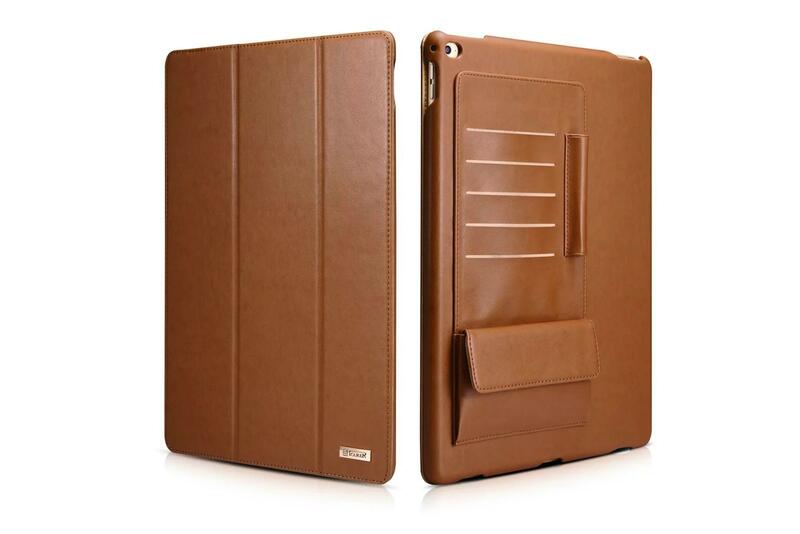 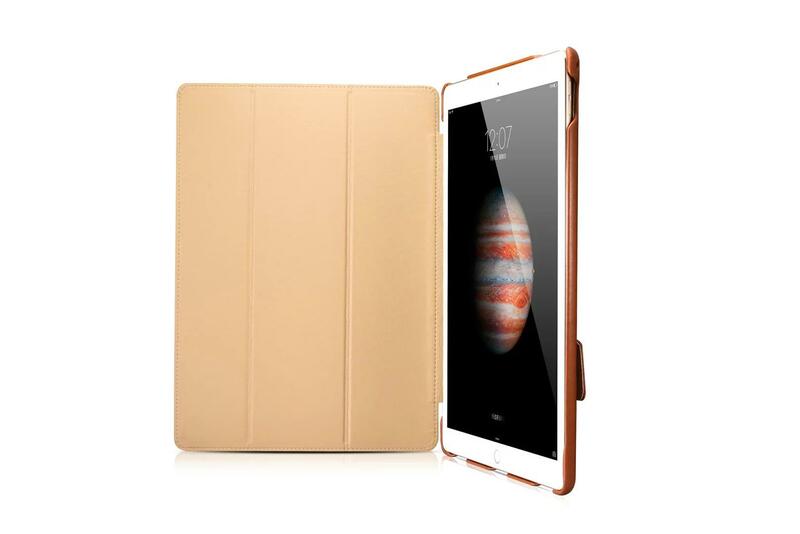 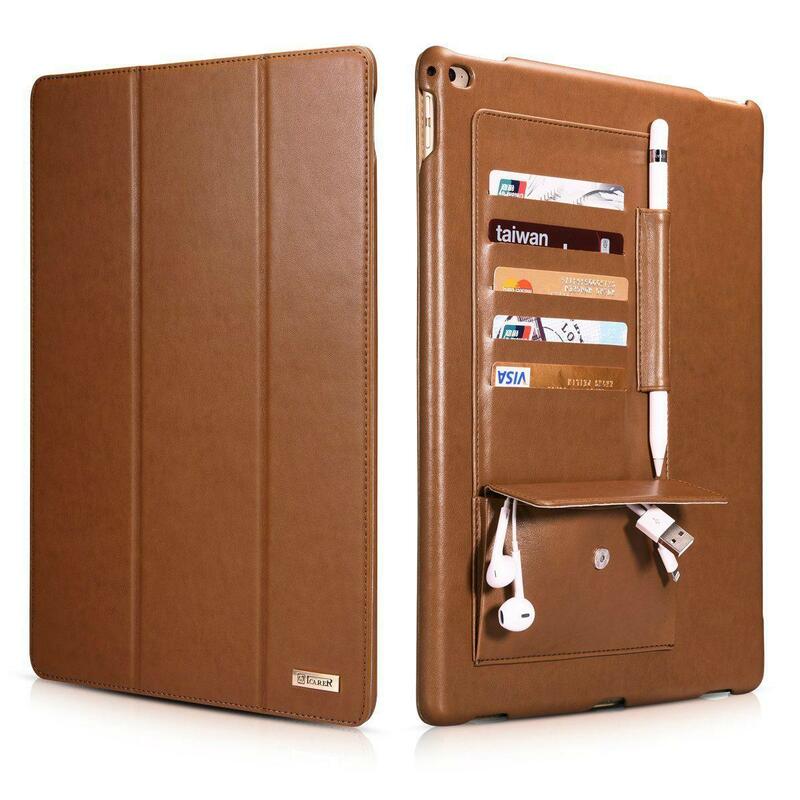 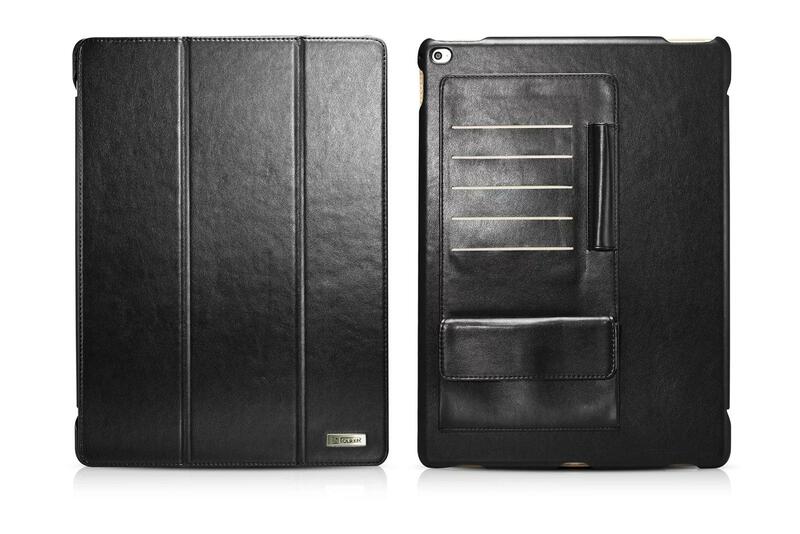 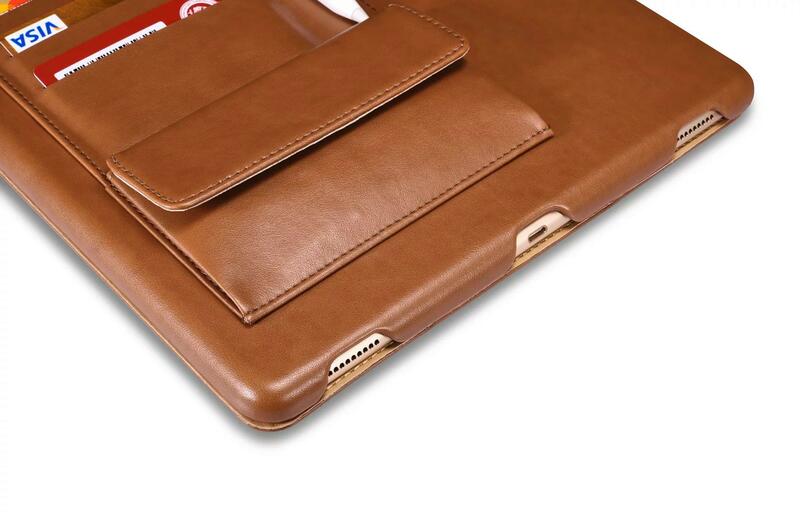 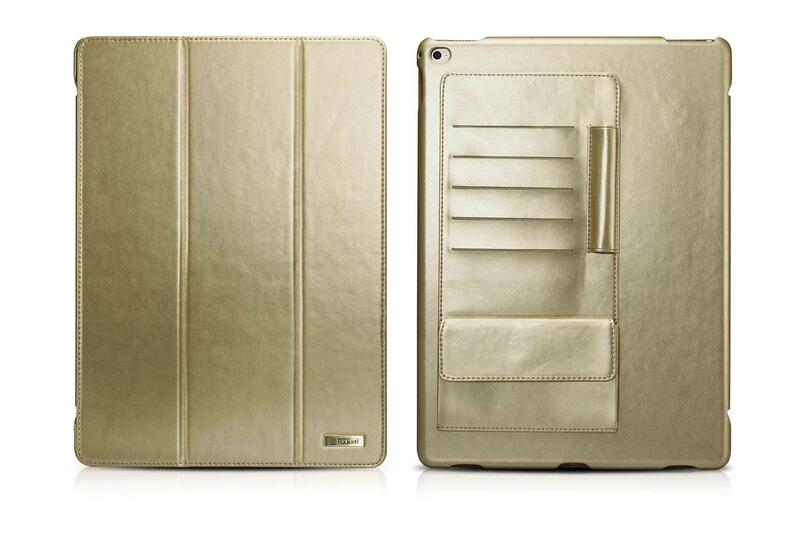 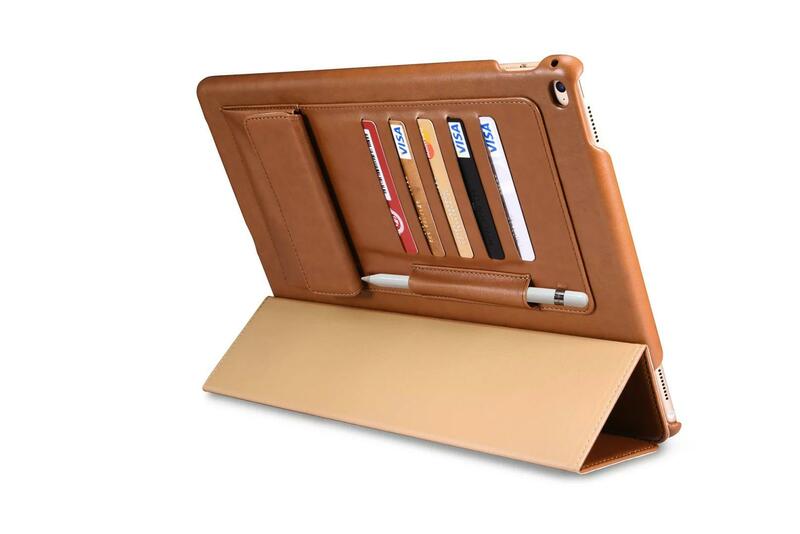 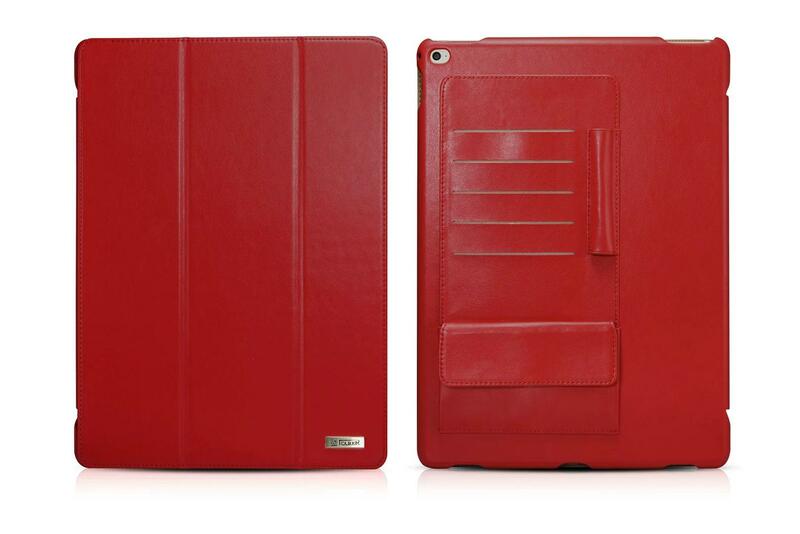 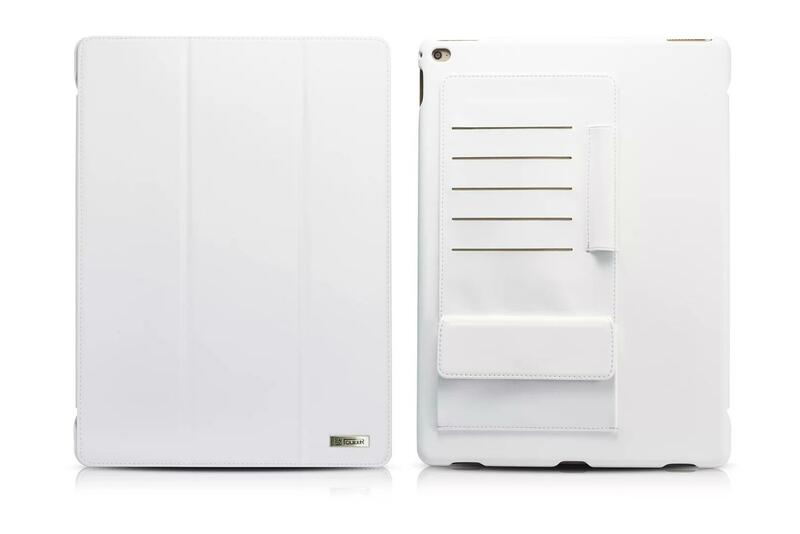 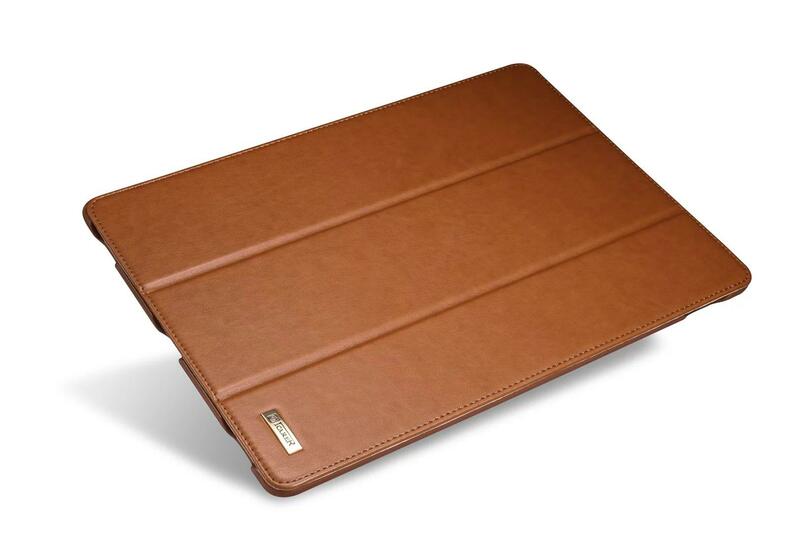 iCarer iPad Pro Business Multi-credit cards Tablet PU Leather Case is made of premium quality PU leather, with purely handmade technology. 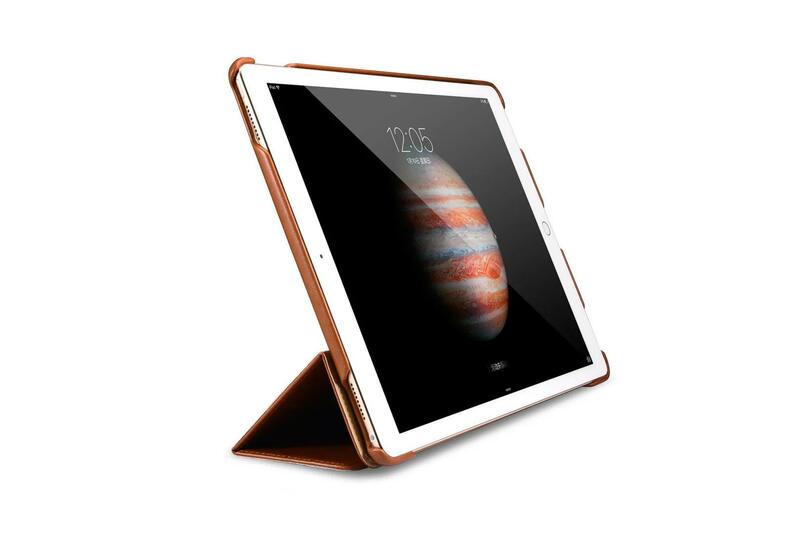 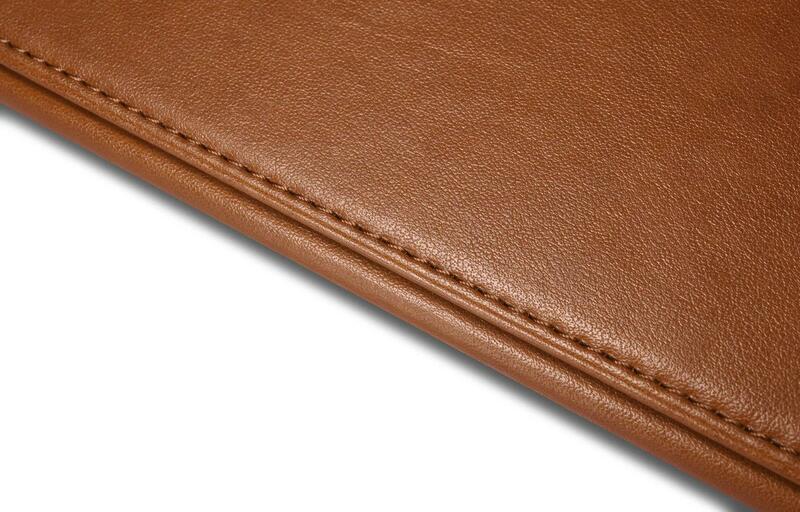 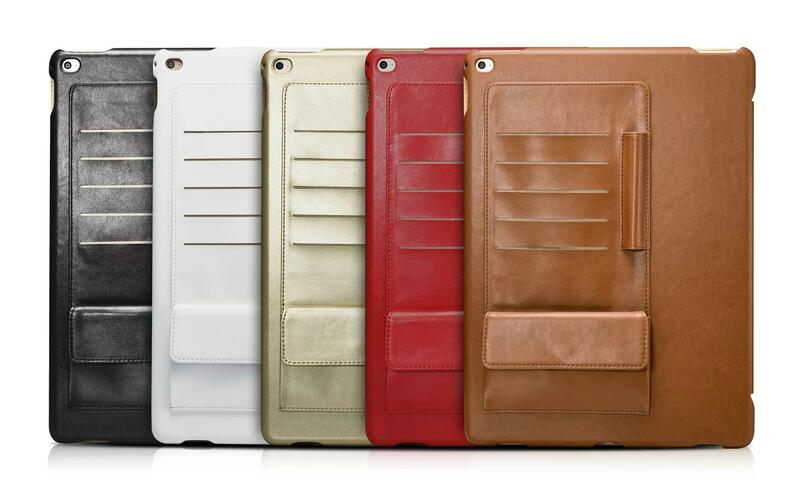 Triple folded design can achieve the case to self-support freely. 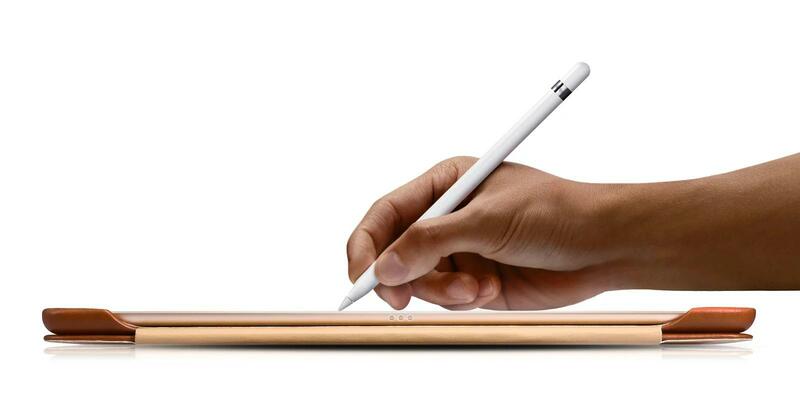 Accurate cut-outs make the function keys work better. 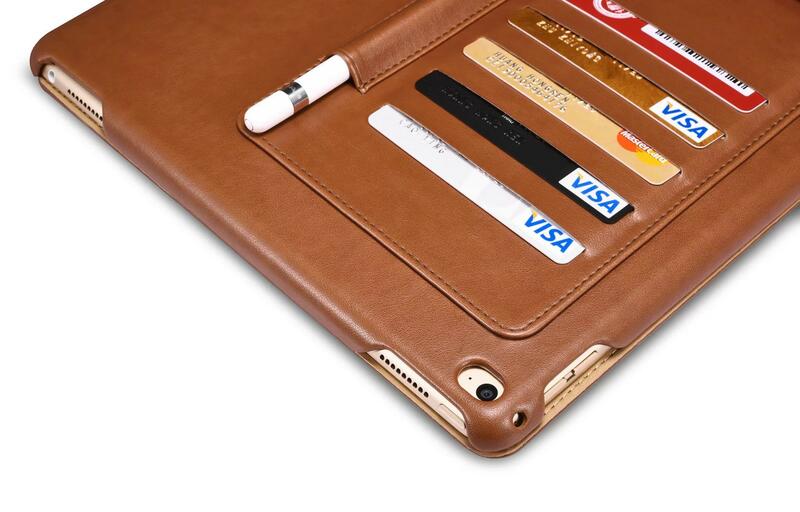 5 credit-card slots and holes for pencil and the earphones & cables. 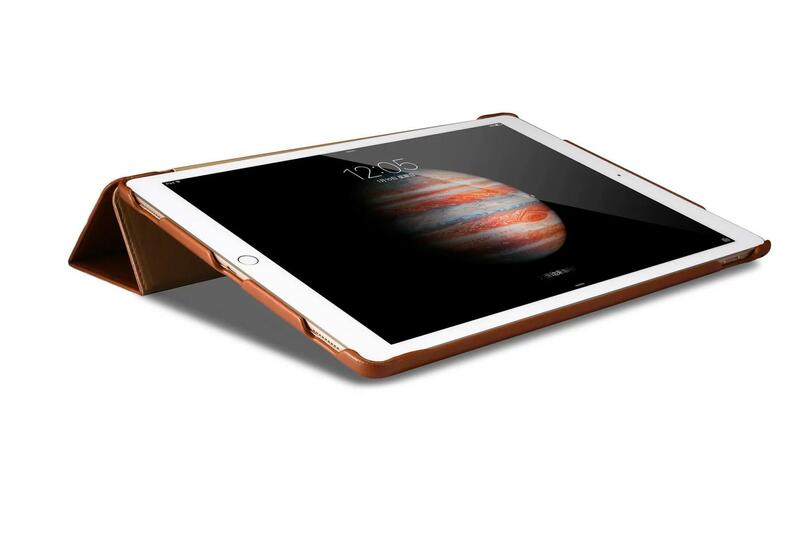 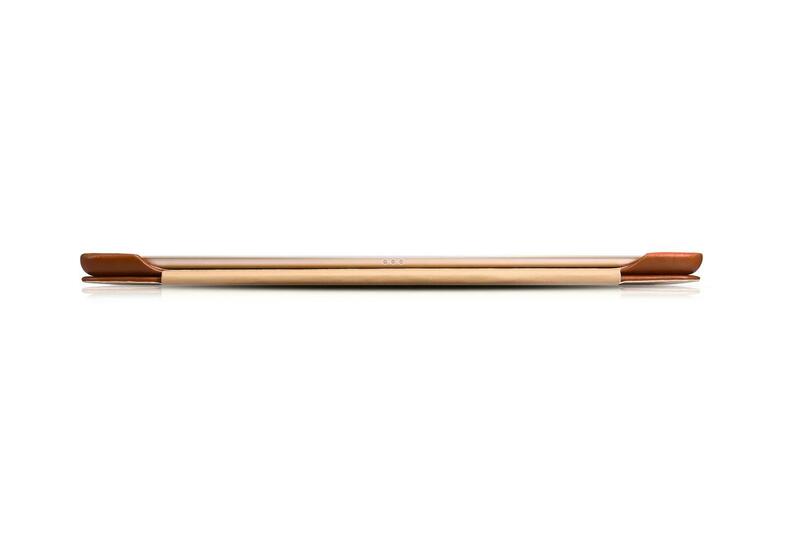 Exterior slots design makes the iPad Pro fit the holder well. 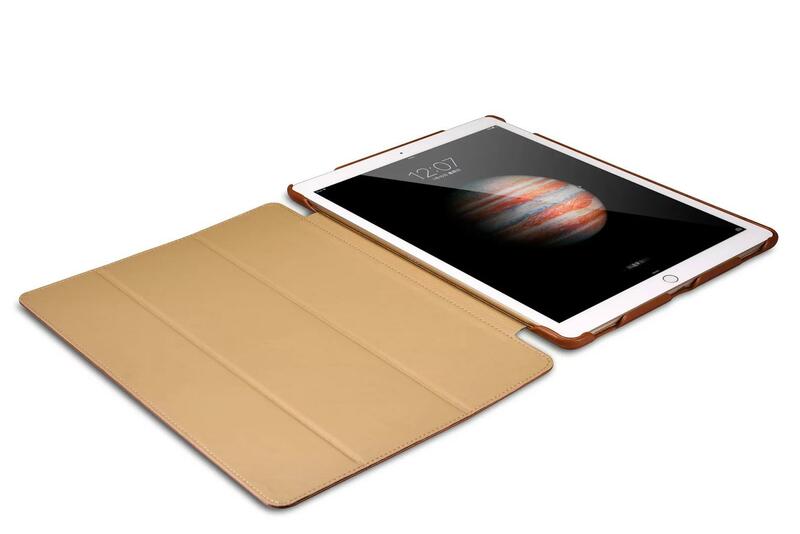 Compatible with iPad Pro 12.9 inch.